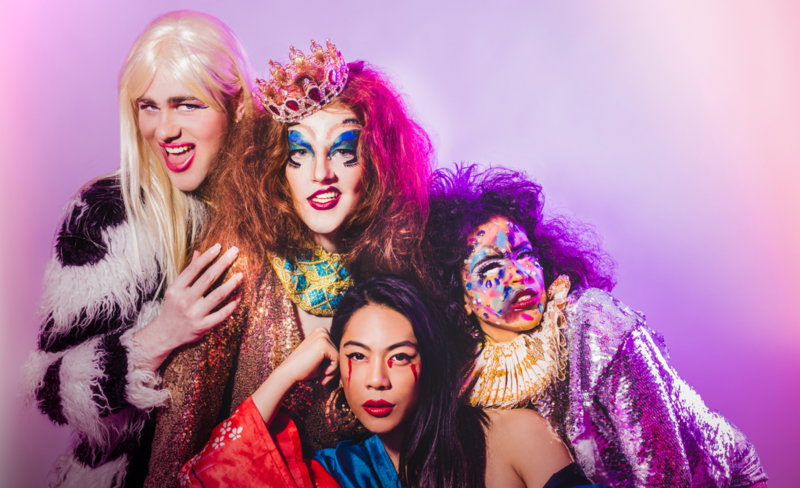 Lou Wall’s Drag Race is the vivacious variety show that smashes the gender binary when it comes to drag, snatching wigs (and hearts) with its message of inclusivity, unapologetic queerness and straight up fierceness. Griffin asked Lou Wall to spill the tea on the show before it sashays up to the Stables! Heyyyy, what’s up, I’m Lou Wall, a Melbourne-based comedian, actor and Drag Queen! When I found out that my name rhymed with RuPaul I immediately decided I had to make a spin-off show, and thus Lou Wall’s Drag Race was born. Might be better than RuPaul’s. 3. What was the inspiration behind the creation of Lou Wall’s Drag Race? We were fed up with the unequal gender representation in mainstream drag à la RuPaul’s Drag Race. We felt a burning need to showcase female-identifying, trans and non-binary drag artists. We wanted to prove that you don’t have to be a man to be a drag queen. We are all from Melbourne so tbh we are most excited to see the Harbour Bridge. I am frothing with excitement to see my mate Bec’s Book Club for Reclusive Dance Hall Queens. Tales of An Afronaut looks juicy and we are always ready for a dose of long time drag idol Betty Grumble!